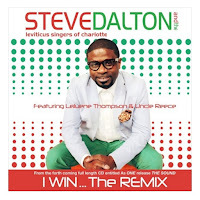 "I Win" single is based on a genuine story of two individuals from Steve Dalton and The Leviticus Singers of Charlotte. The story is presented through a remarkable produced music video with two main characters who are dealing with their individual struggles. A young woman in the video has a little girl that was conceived legally blind. After encountering medical difficulties, the mother and daughter received divine favor through treatment. The young fellow in the video is recently married and experienced employment loss of a noteworthy marketing agency. It practically decimated his family. The triumph in his circumstance was that he discovered a better occupation where that it positioned him to work for himself! Amid the greater part of Steve's adolescence, his biological father wasn't available. From the time he was conceived until the age of 17, Steve’s father wasn't around in particular. Experiencing childhood growing up in church there were men throughout his life such as his profound Bishop J. H. Sherman Sr., Steve’s God Father, Mr. George Morris, and other good men at his congregation. Still the nonappearance of Steve's natural father left a void that others couldn't fulfill. Steve battled with sentiments of vacancy. There were numerous discussions that he and his father didn't have. Therefore, it was left open to experience things that a father could have prepared a child for. Nonetheless, this experience helped build Steve's character. It's one of the reasons why he is very engaged as a parent to his children and husband to his wife. By the time Steve turned 17 his dad passed away and it was too late for them to ever establish a rapport. But in 2006 at an event called “Spiritual Encounter Face to Face Weekend With God” a greater part of Steve took place. Steve accepted his past and forgave his dad. It impacted Steve in a way that it drew him even closer to his own children lives. Even more, Steve allowed God to be his Father. That experience has likewise educated Steve on how critical it is to consistently participate in his children every day development. Because Steve knows what it feels like to not have a father's adoration, he understands why his children need to see him as a dedicated father and respectful husband. With a renewed sense of purpose and ministry, the Lord gave Steve the song ‘I Win The Remix’ as a vehicle and healing for men and others that he may encounter. Steve want all people to know that they may experience hard times and difficulties. But at the end of the day, it’s about how you think and respond to a situation that will determine if you will win. And for those people that don’t know God, this gives Steve a chance to introduce them to his divine source. Anyone within earshot knows that these young men and women are gifted vocalists. Continue to listen and it will be readily apparent that these psalmists have been anointed by God to usher believers into His presence. Delivering songs which flaunt diverse musical styles including praise and worship and contemporary Gospel music, Steve Dalton & The Leviticus Singers of Charlotte have mastered the art of passionate praise. They started as a community choir in 2002. Over the years, the Lord has matured them into an electrifying voice of praise & worship. Their unforgettable performances have placed them in the company of Gospel notables such as Marvin Sapp, John P. Kee, Jonathan Nelson, DeWayne Woods, Micah Stampley, and Lexi. 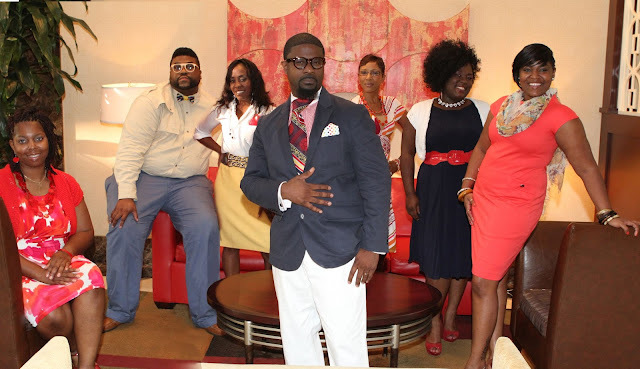 Steve Dalton & The Leviticus Singers of Charlotte has caught the attention of the industry with 8 nominations to include the 2015 Rhythm of Gospel Awards, the 2015 Independent Artists Christian Music Awards, the 2015 Prayze Factor People’s Choice Awards, winning the 2015 Gospel Image Award for Best Video of the Year, and the 2016 Carolina Music Video Award for Best Gospel Video for their new release, “I Win”. Now the ensemble returns with an updated rendition of the track, “I WIN, The Remix” featuring Stellar Award Nominee, Dove Award Nominee and lead singer for the award-winning Donald Lawrence & Tri City Singers, LeJuene Thompson & multi-Stellar Award Nominee Uncle Reece. The song debuted at #9 on ITunes 100 Gospel Christian Music New Release Charts. It also charted on BDS Nielson Gospel Chart in the top 100 Gospel songs in the country. As these opportunities and accolades have been humbling, they do believe that God can and will do even greater in their lives if they continue to seek HIM first. “Experience the singing, the sound and their heart to worship HIM. This is not a show but a true worship experience”.